The TED Prize, designed to leverage the TED communityâ€™s exceptional array of talent and resources, has recently announced its 2009 winners. It is awarded annually to three exceptional individuals who each receive $100,000 and, much more important, the granting of â€œOne Wish to Change the World.â€ After several months of preparation, they unveil their wish at an award ceremony held during the TED Conference. These wishes have led to collaborative initiatives with far-reaching impact. Sylvia Earle, called â€œHer Deepnessâ€ by the New Yorker and the New York Times, â€œLiving Legendâ€ by the Library of Congress, and â€œHero for the Planetâ€ by Time, is an oceanographer, explorer, author, and lecturer with a deep commitment to research through personal exploration. Earleâ€™s work has been at the frontier of deep ocean exploration for four decades. Earle has led more than 50 expeditions worldwide involving more than 6,000 hours underwater. As captain of the first all-female team to live underwater, she and her fellow scientists received a ticker-tape parade and White House reception upon their return to the surface. In 1979, Sylvia Earle walked untethered on the sea floor at a lower depth than any other woman before or since. In the 1980s she started the companies Deep Ocean Engineering and Deep Ocean Technologies with engineer Graham Hawkes to design and build undersea vehicles that allow scientists to work at previously inaccessible depths. In the early 1990s, Dr. Earle served as Chief Scientist of the National Oceanographic and Atmospheric Administration. At present she is explorer-in-residence at the National Geographic Society. 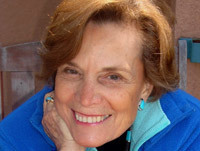 Sylvia Earle is a dedicated advocate for the worldâ€™s oceans and the creatures that live in them. Her voice speaks with wonder and amazement at the glory of the oceans and with urgency to awaken the public from its ignorance about the role the oceans plays in all of our lives and the importance of maintaining their health. 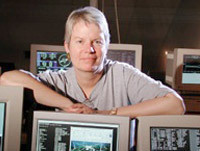 Astronomer Jill Tarter is Director of the SETI (Search for Extraterrestrial Intelligence) Instituteâ€™s Center for SETI Research, and also holder of the Bernard M. Oliver Chair for SETI. She has devoted her career to hunting for signs of sentient beings elsewhere, and almost all aspects of this field have been affected by her work. Jill led for Project Phoenix, a decade-long SETI scrutiny of about 750 nearby star systems, using telescopes in Australia, West Virginia and Puerto Rico. While no clearly extraterrestrial signal was found, this project was the most comprehensive targeted search for artificially generated cosmic signals ever undertaken. Jill currently serves on the management board for the Allen Telescope Array, a massive new instrument that will eventually comprise 350 antennas, each 6 meters in diameter. This telescope will be able to enormously increase the speed, and the spectral range, of the hunt for signals from other distant technologies by orders of magnitude. Jill is committed to the education of future citizens and scientists. Beyond her scientific leadership at NASA and the SETI Institute, Jill has been actively involved in developing curriculum for children. She was Principal Investigator for two curriculum development projects funded by NSF, NASA, and others. One project, the Life in the Universe series, created 6 science teaching guides for grades 3-9. The other project, Voyages Through Time, is an integrated high school science curriculum on the fundamental theme of evolution in six modules: Cosmic Evolution, Planetary Evolution, Origin of Life, Evolution of Life, Hominid Evolution and Evolution of Technology. The gulf between the rich and the poor in Venezuela is one of the worst in the world. 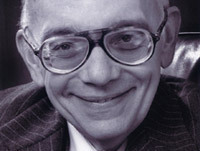 Dr. JosÃ© Antonio Abreu, a retired economist, trained musician, and social reformer founded El Sistema (â€the systemâ€) in 1975 based on the conviction that all Venezuelan kids can benefit from participating in classical music. After thirty years and 10 different political administrations, El Sistema is now a nationwide organization of 102 youth orchestras, 55 childrenâ€™s orchestras, and 270 music centers. Comprised of close to 250,000 young musicians, El Sistema uses music education to help youth, most from impoverished circumstances, to achieve their full potential and acquire values that favor their growth and have a positive impact on their lives in society. JosÃ© views El Sistema as an alternative to the drugs and crime that plagues the lives of many Venezuelan children. The talented musicians have become a source of national pride, bringing classical music from the concert hall into the real world. Several participants of the program have gone on to have major international careers, including Gustavo Dudamel, conductor of the Simon Bolivar Youth Orchestra and soon to be the music director of the Los Angeles Philharmonic, and the double bass player Edicson Ruiz, who at the age of 17 became the youngest musician ever to join the Berlin Philharmonic. There is a simple concept behind JosÃ©â€™s work: for him an orchestra is first and foremost about togetherness, a place where children learn to listen to each other and to respect one another. JosÃ© continues to believe in a better future for Venezuela, wanting to change people and structures through music. The TED Conference, held annually in the spring, is the heart of TED. More than a thousand people now attend, the event sells out a year in advance, and the content has expanded to include science, business, the arts and the global issues facing our world. Over four days, 50 speakers each take an 18-minute slot, and there are many shorter pieces of content, including music, performance and comedy. There are no breakout groups. Everyone shares the same experience. It shouldnâ€™t work, but it does. It works because all of knowledge is connected. Every so often it makes sense to emerge from the trenches we dig for a living, and ascend to a 30,000-foot view, where we see, to our astonishment, an intricately interconnected whole.